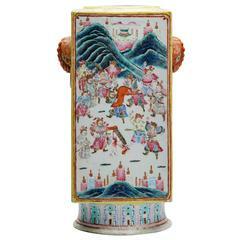 A large antique Chinese Qing porcelain twin handled bulbous vase hand painted with panels with birds set amidst flowering plants to two sides within a surround of flowering shrubs within a blue cracked ice ground. 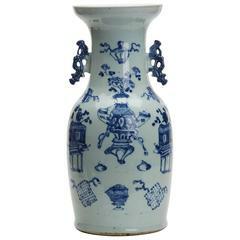 The vase has a rounded bowl shaped top on a funnel shaped neck with flat moulded dragon handles applied either side. 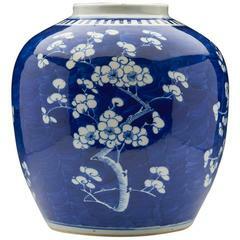 The vase is not marked. 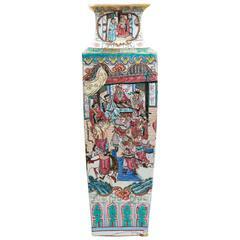 Large Chinese blue and white ceramic vase.